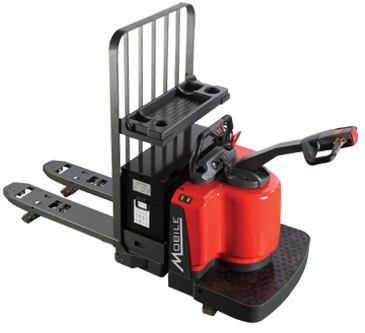 Heavy-Duty "HESPT60N" Self-Propelled Truck - MOBILE INDUSTRIES INC. :: Material Handling Tranport, Lift and Warehouse Equipment. 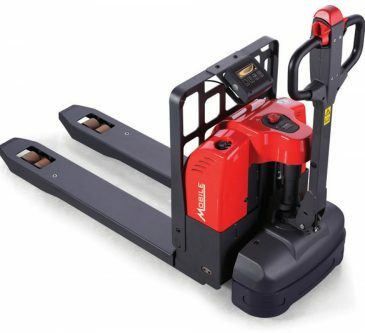 Able to lift and transport loads of up to 6,000 lbs, the HESPT60N self-propelled pallet truck is designed for heavy duty lifting and transporting applications. 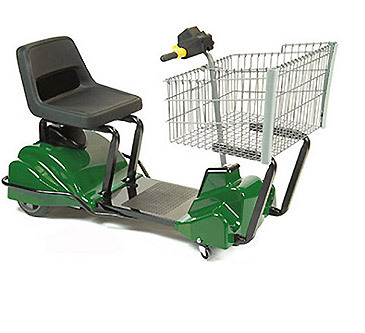 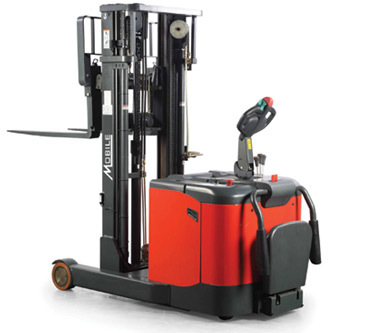 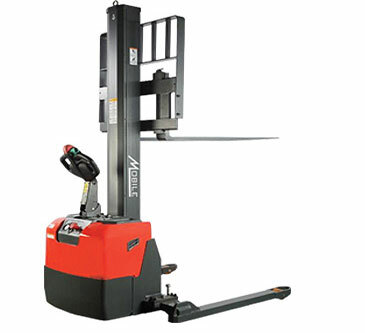 These units feature full electric lifting and self-propelled movement with an operator platform, enabling safe and more efficient load handling, particularly in long-distance warehouse applications.